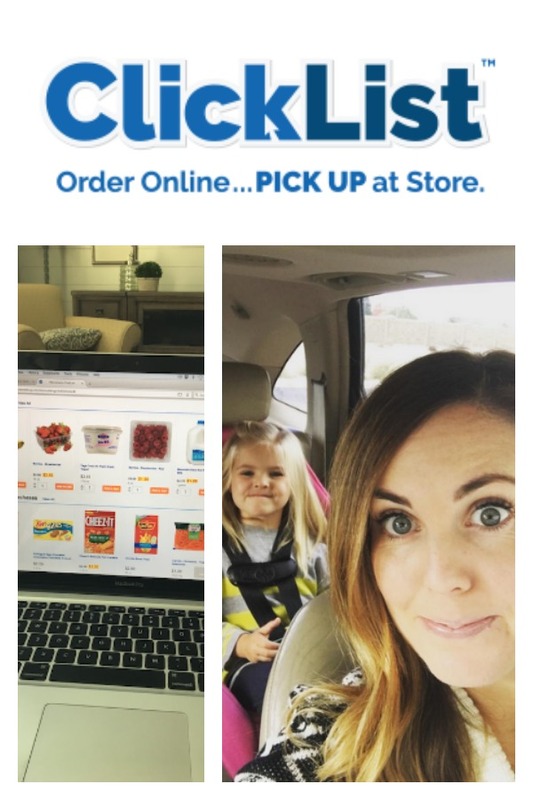 This post is sponsored by Kroger and they asked me to share my experience using ClickList, their online grocery shopping service. All opinions are 100% honest and 100% my own. Are you ready for your life to change for the better?! 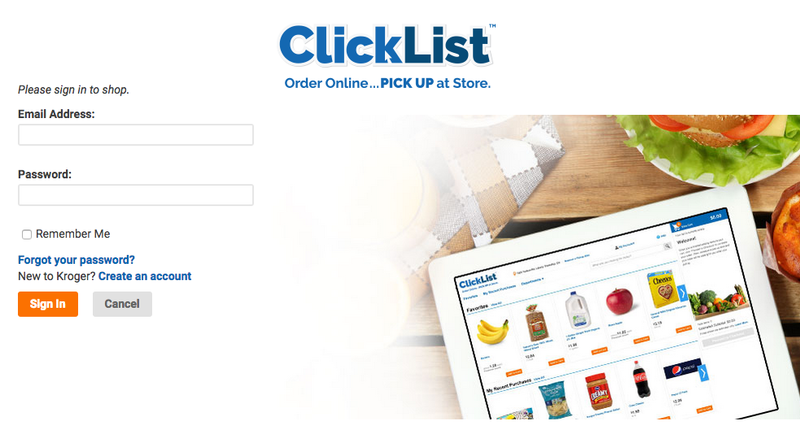 Kroger stores around the country have started to roll out ClickList – their new online grocery shopping service. You can shop online in your pajamas, then pick up your order at the store without having to even get out of the car (they load it up for you!). 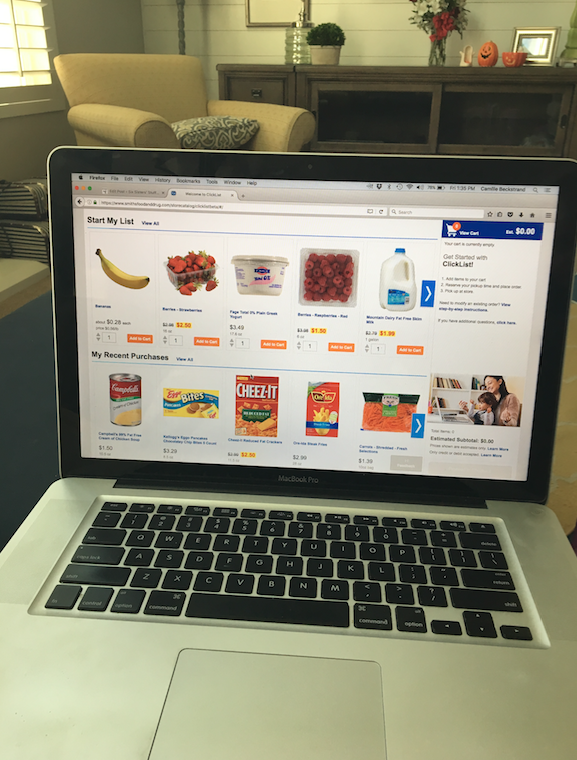 It took me a couple of weeks before I took the plunge and tried out online grocery shopping for myself. I am kind of picky when it comes to picking out my own food- especially produce – so I worried about what food they would choose for me. I thought that it would be hard to give up control of choosing items for myself, but after trying it for the first time, I will NEVER go back! (Random side note – Kroger takes pride in the fact that their employees are trained to pick the best of the best when it comes to choosing produce and other items for their ClickList customers! This company understands the importance of customer service). Ordering is simple – head over to Kroger.com and set up your free account; it will also help you locate your nearest Kroger store. From there, just click on “ClickList” and get started! I literally did my grocery shopping in my pajamas on the couch. The cool thing is that ClickList keeps track of your recent purchases and your favorite purchases, so those items that you buy every time you go to the store are ready to be added to your cart! Once your shopping list is complete, you reserve your pick-up time. I can usually pick up my order the very next morning, which I love! So we drove to the store to pick up our order – there are signs that point the way to exactly where you go to pick up your food. When you arrive, you call a number that is on the sign and let them know you are there. Within minutes, they come right out with your order and start loading it up for you. The store I went to even handed me an ice cold water and thanked me for coming today! They go over your entire order with you and let you know if there were any changes or substitutions that they needed to make – for example, I ordered a 6 oz container of raspberries, which they were out of. They swapped it out for a 6 oz container of organic raspberries, but only charged me the lower price. They are all about pleasing the customer and I LOVE IT! 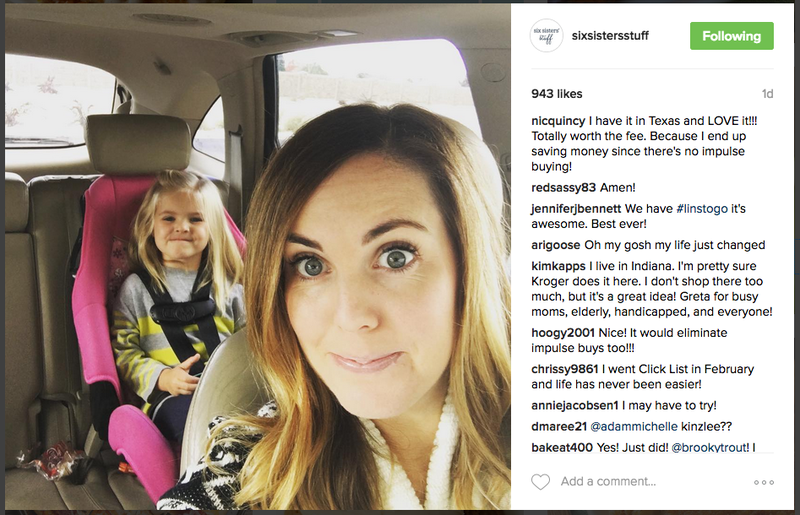 I shared my experience on Instagram and over 50 of you commented about how much easier ClickList has made your life! -Did you order any produce? I’m so picky about my produce that I’ve been reluctant to try it. I order produce every time! And like I mentioned earlier in the post, Kroger takes pride in how their train their ClickList employees to pick the very best produce everytime. I have not been disappointed yet! You can also customize what you want (green bananas, smaller onions, etc) by leaving a note in the special instructions box. They do a great job of reading those notes and making sure you get exactly what you want and need! -Does it cost any money? If you have any other questions, be sure to check out their Frequently Asked Questions page. 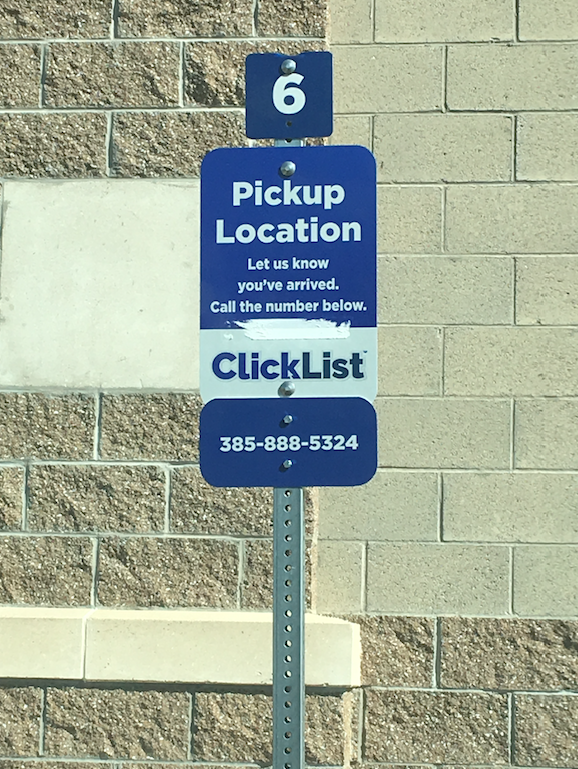 Have you tried using ClickList? I would love to hear about your experience! 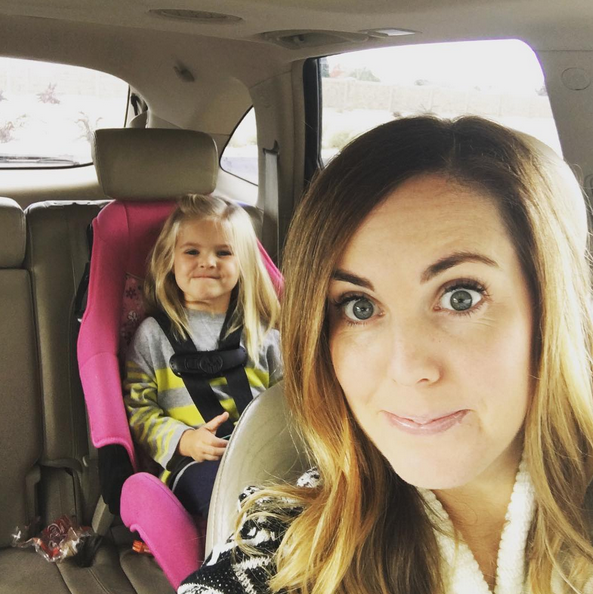 Feel free to leave a comment below!This is a sponsored conversation written by me on behalf of Kroger. The opinions and text are all mine. I tried it for the first time yesterday. So nice not to have to get my 2 year old out. And it happened to be raining, loved that I didn't have to get wet. I was thrilled with the produce they got for me. Loved that it was super easy!